During an ultimate war with evil and the battle that brought it to an end once and for all, The Kings and Queens of the Thirteen Realms joined forces against Hatred, Lust, and Death… and in the ensuing catastrophic chaos, the fabric of time and space was fundamentally fractured. Two dimensions collided, bringing changes both large and small, sudden yet eternal. It has forced the Sovereigns of the Thirteen to exist in a brand new world that only they are aware has changed. In this brand new world are new humans, and alongside them in the shadows and hidden doorways, new non-humans. Some are strange and splendid. Others are wonderful but wrong. Melody Margaret Tannym is eighteen years old, and she goes by the name Mimi amongst her friends. Mimi is a dragon. However, one of her friends is quite special too – or about to be – and neither one of them has any clue. This new world carries with it new forces, and those forces play upon the young man, altering him as much as the altered world and plunging Mimi and her companion into the dangerous underworld depths of the new supernatural kingdoms. Worse yet, the colliding dimensions weakened a very old barrier, one that has kept a primordial and powerful atrocity at bay for countless millennia. Only one creature, one darkly brilliant soul, stands between this evil force and the new world. But Bantariax the Great Black Dragon can only remain vigilant against his deadly foe for so long. For even he in his ancient draconic splendor has his weaknesses… beautiful and precious beyond measure. And new worlds have brought new chances for his enemy to prey upon them. 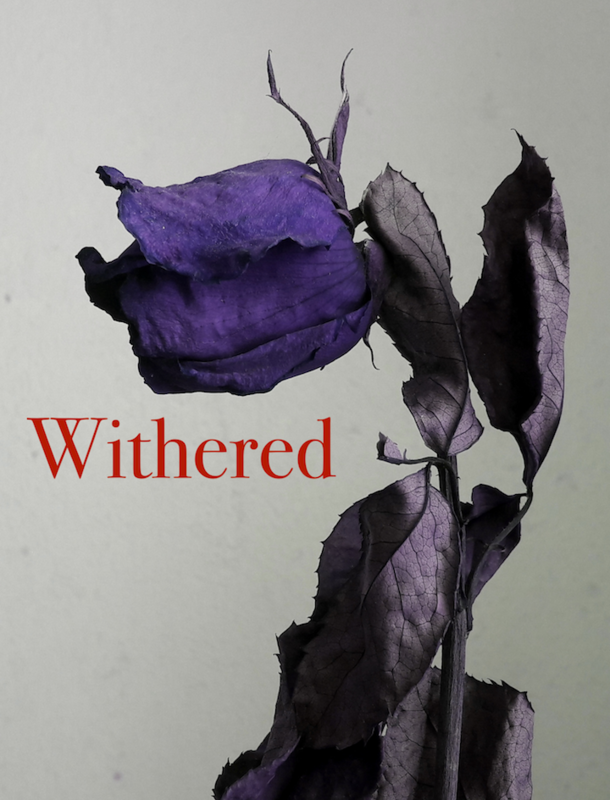 Withered is a bridge novella by Heather Killough-Walden linking The Lost Angels series and The Kings series to the upcoming Monsters series. Monsters are coming Halloween, 2018.